France has made a U-turn on its support of proposed European Commission regulations of the definition of chemicals known as ‘endocrine disruptors’ (perturbateurs endocriniens (PEs)). The chemicals are said to be found in everything from pesticides to cosmetics, food, and children’s toys, and scientific critics say the chemicals negatively affect the workings of the endocrine system in humans and animals, including the pituitary gland, thyroid, adrenal glands, ovaries, testes, and the pancreas. France had previously - along with Denmark and Sweden - been against the European Commission’s proposals to regulate PEs' official definition, as they were deemed to not go far enough in protecting the public’s health or the environment. Germany, however, was one of the major countries in favour of the vote, as critics suggested Berlin would prefer an agreement that would not put too many constraints on the chemical industries. France reportedly only changed its mind and voted in favour after securing “extra guarantees” from the European Commission that a “European-wide strategy” would be launched as an investigation into PE chemicals and their exact definition. Thanks to France's change of mind, the proposals were passed. They will now be examined by a team of European deputies, who will have four months to adopt or amend them. If adopted, the agreed definition will be used as the main working definition of a PE, and help to enforce existing European regulation from 2009 into the use of pesticides. In future, it will also be used as the basis for other regulation on industries such as cosmetics or toy manufacturers, with the commission saying it will now have the necessary power to take any damaging PE off the market if it is found to be harmful. Denmark and Sweden, who continued to vote against the proposals, disagreed, with the Danish environment minister stating that the definition suggested did not go far enough. Both countries allege that the level at which PEs are defined as ‘harmful’ is still much too high, and does not reflect current scientific knowledge. 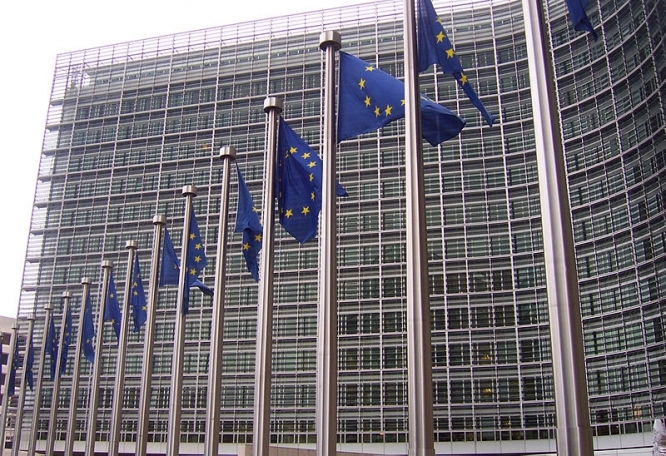 The Endocrine Society last month also issued a statement urging Brussels to reject the proposals, saying that they could not guarantee that damaging PEs would be properly identified or removed from people’s homes. Instead, the society recommended that the proposals could incorporate a sliding scale to identify PEs, from the low-level ‘suspected’ chemicals to those constituting a ‘severe’ risk. This was not completely taken into account in the final definition, according to Le Monde newspaper, although French ministers today said they were happy that ‘suspected’ chemicals would be successfully identified thanks to the new rules. Even the regulation of pesticides has come under attack in the controversy, with the plans said to continue to allow pesticides that are 'specifically designed to disrupt the endocrine system of insects', despite the fact that these chemicals are then alleged to affect larger animals too. Ultimately, there is much significant disagreement on the level of proof required to show a chemical as harmful or requiring removal from sale, which further frustrates easy agreement on proposals or regulation. Critics also say that a European-wide strategy on PEs has already been developed by the former environment commissioner Janez Potocnik, but that it was quietly buried in 2014 by the Juncker commission.